MILLION $$$ VIEWS of the river on over 2/3 acre of pristine riverfront estate. This 4/3.5 custom-built home is located on 175' riverfront, this gorgeous true OLD FLORIDA property is unique in everyway. Parked in this tight knit community among canopy oak trees is elegant homes, tree lined streets and nature flowing! This custom built home had no details spared w/ extras including cedar closets, custom cedar cabinets and shelving, historical brick flooring entranceway, gorgeous terrazzo floors, cherry woodwork and paneling, storage, large rooms including indoor laundry room in this split plan home. Guest suite has its own entranceway, great for mother in law or teenager! 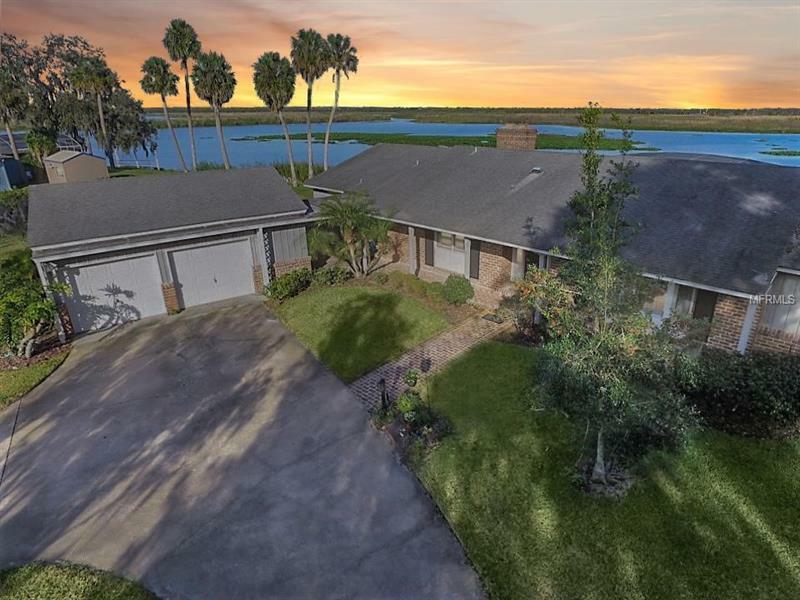 This home features a huge curved fireplace in the great room w/ panoramic glass doors opening up to pulsating views of a sparkling blue pool and well-designed private deep water dock to park your boats on the river. The bonus room has cooking access and surrounding windows and is designed for entertaining and those moonlight nights. Truly well designed on one of the best deep water locations on the river for boating, privacy and VIEWS! Original owner has maintained this property meticulously. You won't find a better location on the river with those take your breath away VIEWS! BOAT, WAVERUNNER HEAVEN or just CHILL on the dock with your cocktails!